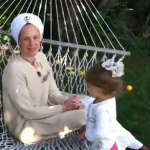 A big thank you to Snatam Kaur for this great video tutorial on the “Poota Maataa Kee Asees” shabad! 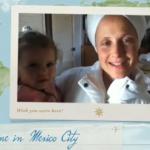 Snatam Kaur recorded this slow recitation of the shabad for the Spirit Voyage Global Sadhana: Elevating Ourselves, Blessing Our Children. As part of this global sadhana, we are reciting the shabad 11 times to pray for the children of the world. For those who find the pace of the recitation challenging, or those who want to work on refining their pronunciation, Snatam’s video is a great tool to work with. To find more information about the Spirit Voyage Global Sadhana: Elevating Ourselves, Blessing Our Children visit www.spiritvoyage.com/globalsadhana. Musical and Recitation Versions of this Mantra are available on "Divine Birth"
Video: Snatam Kaur Says Keep Up!